When we need to set different TimeZone ids in java we need to know the exact ID's of various TimeZones present in Java. Now lets list down all TimeZone ID's present in Java with very simple code. 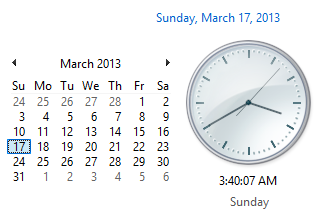 Convert the given date, time to a different timezone along with 12-hour clock format. Lets see simple java example to convert the given string to Date and with local/Default(IST) time to 2 different timezone along with 12-hour clock format (AM/PM). // Converting string to Date() with specified date format.